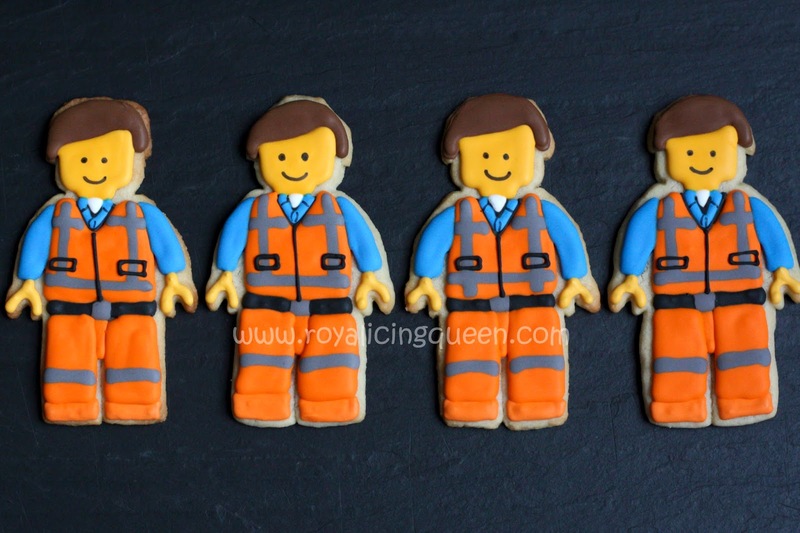 My friend is having her first baby and although I wasn't able to make it to her shower, I offered to make her some cookies for it. 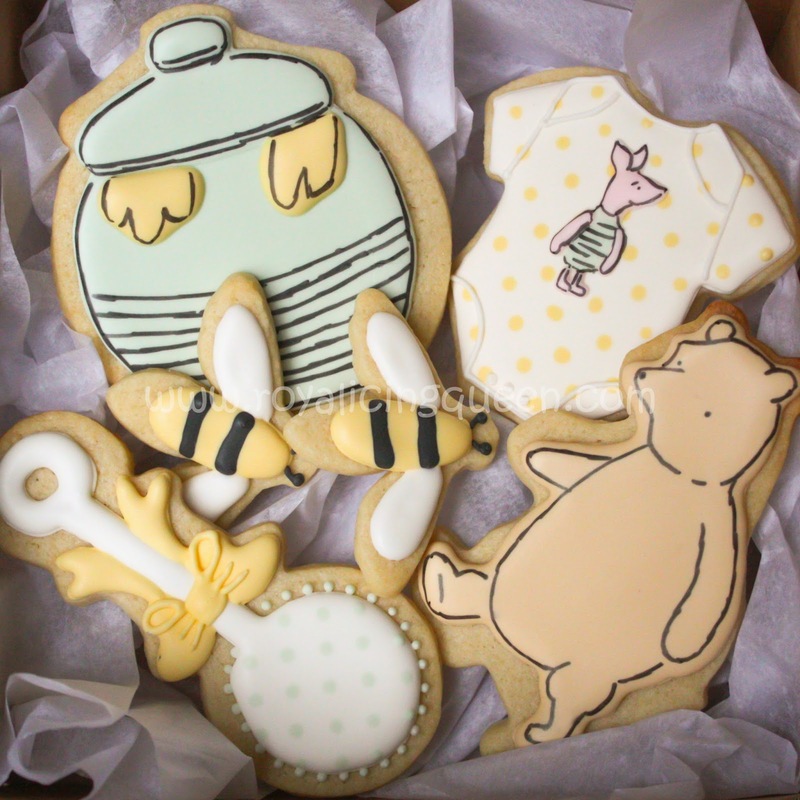 She told me that her baby shower's theme was loosely based on a vintage Winnie the Pooh look, so I made the cookies to go along with this. 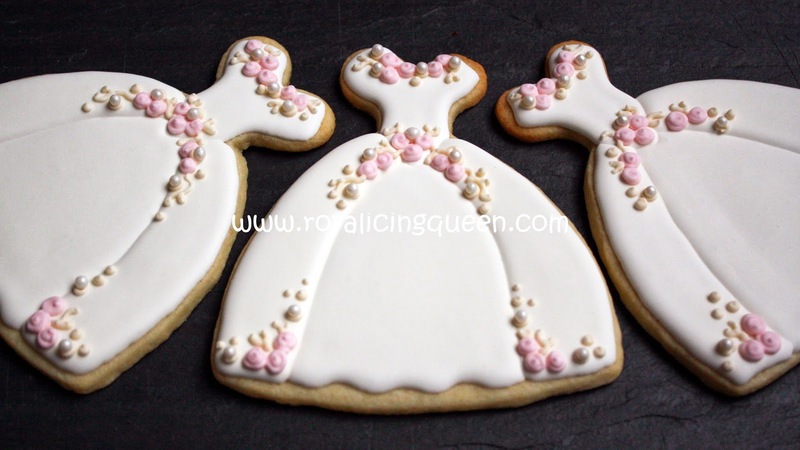 For these cookies pictured, I used the onesie cookie cutter from the Wilton Baby Theme Set. Winnie Pooh was the Dancing Bear from www.cheapcookiecutters.com and I also found the Honey Pot and Mini Bee cookie cutters at this site as well. For the rattle, I was inspired by the style Oh Sugar Events' baby rattle. I followed her design but used different colors. 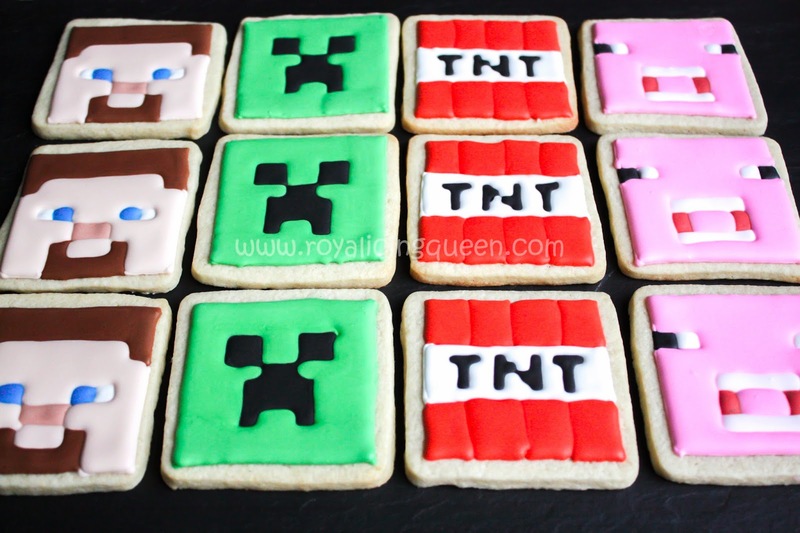 This was one cookie set where having a projector came in handy. I used it to project the polkadots onto the onesie and rattle to get a more precise pattern. 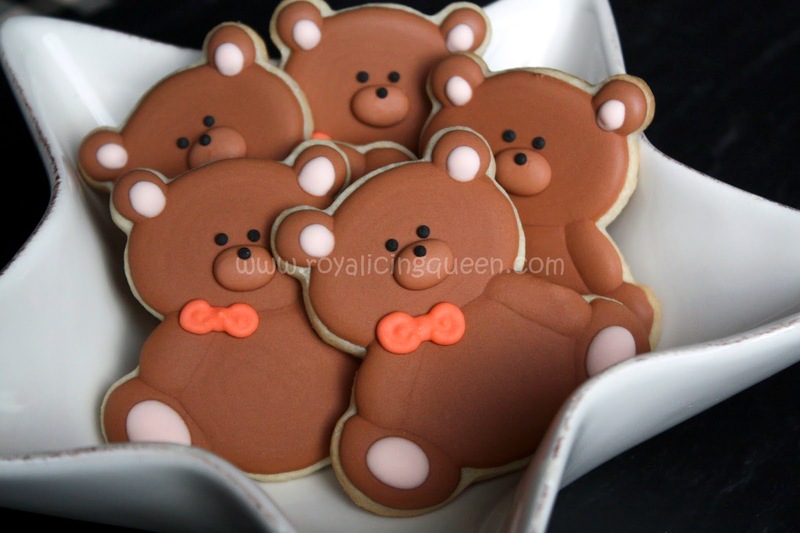 I also used it to project my sketches of the honey pot, bees, and Pooh bear onto the cookies. I drew the black outlines on Pooh, Piglet, and the honey pot with a food dye marker once the icing was completely dry. 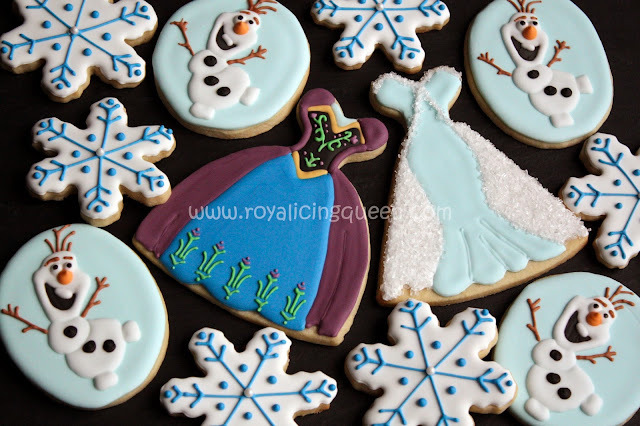 Anna and Elsa's dress, Olaf, and snowflakes. For these cookies, I used the ghost cookie cutter that is included in the Wilton 101-Piece Cookie Cutter set. I started with a sketch. I traced the outside of the ghost cookie cutter and then sketched the figure of the genie inside the cookie cutter outline. I then used an Artograph projector to illuminate my sketch onto the cookies. 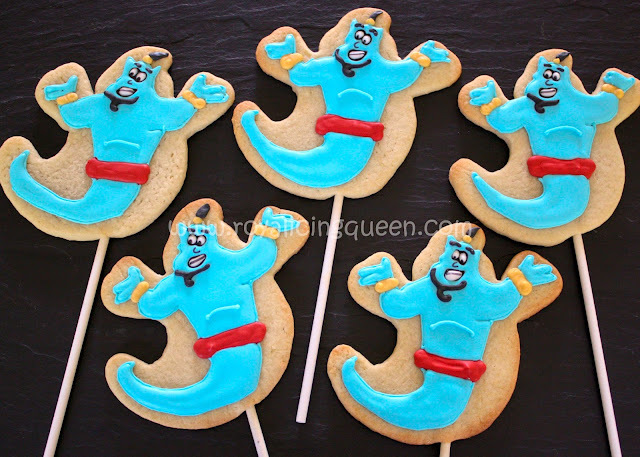 This worked fairly well, but, even with my sketch, I had to adjust the position of the genie's arms and tail on the cookies every so often. I began by outlining the face and body of the genie in blue and then added the red sash, gold cuffs, eyes (black outline filled in with white), and mouth. Then I flooded the genie's hands, chest, and tail in blue. All that was left was to add a few remaining details - mainly the line on the genie's chest, beard, and hair - and then let the cookies dry overnight. I drew the pupil of his eye, the black line across his mouth, and his nose with a black food dye marker. 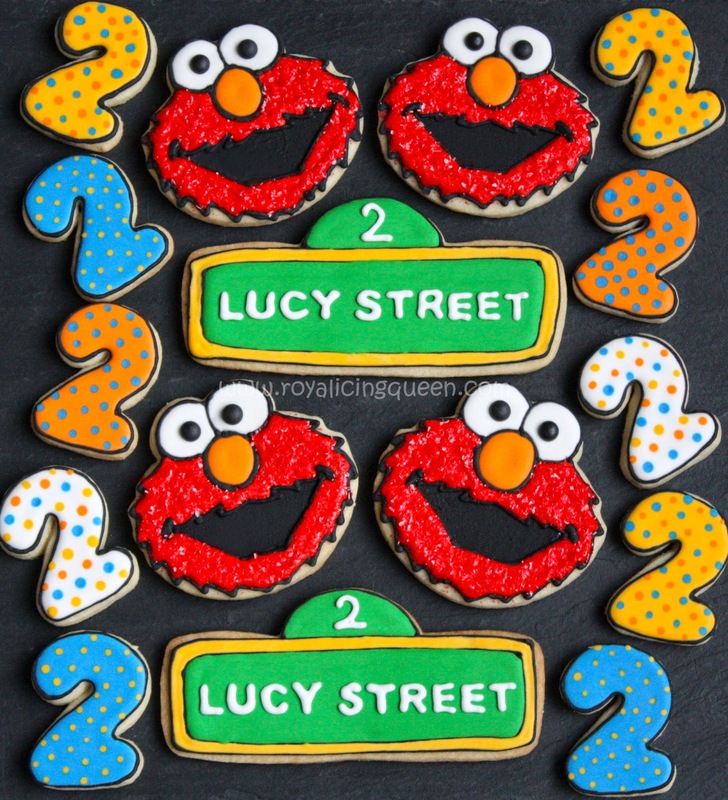 I made these cookies for my own little Elmo fan who turns two years old tomorrow.